For starters, a new rug is rarely a good rug. I own two “new rugs” in my home and they serve a very specific purpose: to be layered under my better, OLD rugs. One is a grey wool rug that has brightly woven boucherouites layered on top. The other is a large jute rug with a talsint layered on top. I promise you, no one ever asks me, “where did you get that boring grey wool rug?” or “where is that large jute rug that can be found on every corner of the internet from?” No one asks those questions. Ever. So where do I get all those beauties that I layer on top? Occasionally they are found at estate sales, but I would advise that estate sales are not the best place to find these beauties for two reasons: 1. really nice ones in modern shades are difficult to come across. In all my years of attending hundreds of estate sales, I have only ever come across 5-10 I have wanted and 2. estate sale companies tend to inflate the prices on rugs. Especially if you’re in need of a rug in a short period of time, estate sales are just not where you’re likely to find your beauty. The good news is that there are loads of online shops offering some pretty badass vintage rugs. 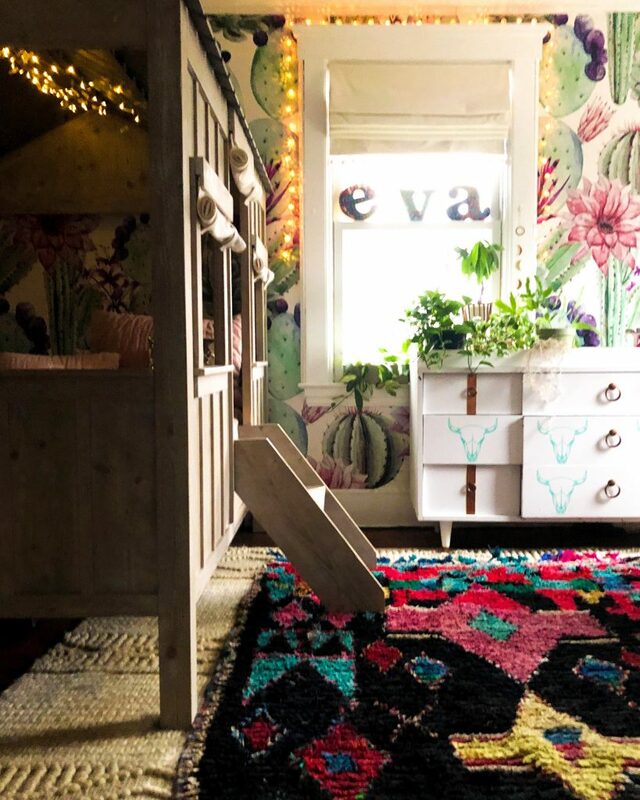 Sure, they can be found on FirstDibs, OneKingsLane, and even Ebay, but the best shops are the smaller shops that take the time to source each vintage beauty with their own set of eyes and test the integrity of the rugs with their expertise. One of my all-time favorite shops is June and Blue, a vintage rug shop curated by my girl Becca. 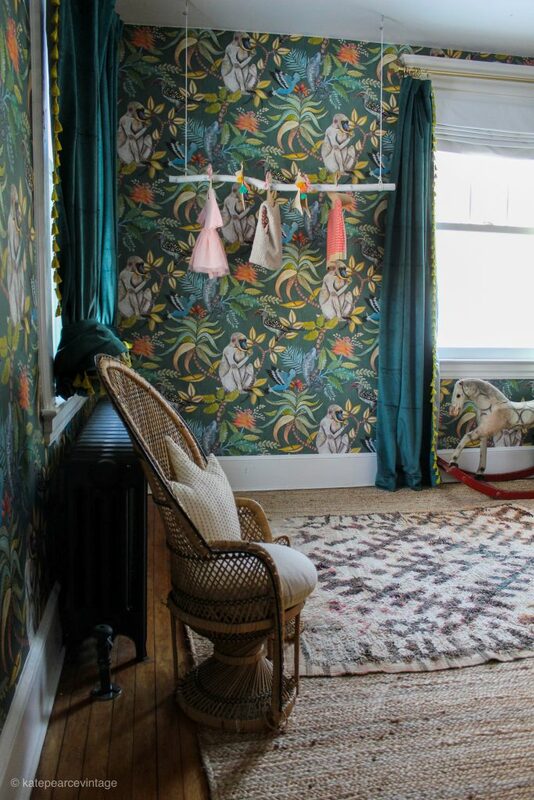 I have a hard time visiting her site because I want EVERY LAST RUG she curates. She takes two trips each year to Morocco to source these beauties, and her prices are INCREDIBLE. Becca is an American ex-pat living in Amsterdam, and she even offers free worldwide shipping on all of her beauties. If you’re looking for large sizes, talsints, or boucherouites, Becca is your girl. 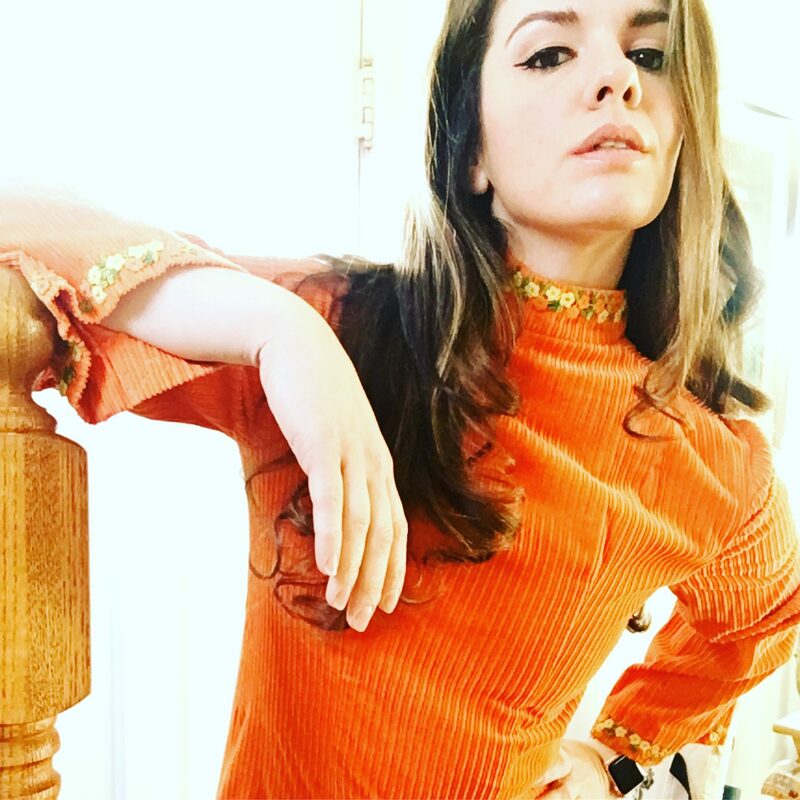 Though, truly, she really rocks the entire rug scene and even offers a sale every Sunday to feast on over your pancakes – it’s called SHORTSTACK SUNDAY and she offers 10% off on runners and small-sized rugs. 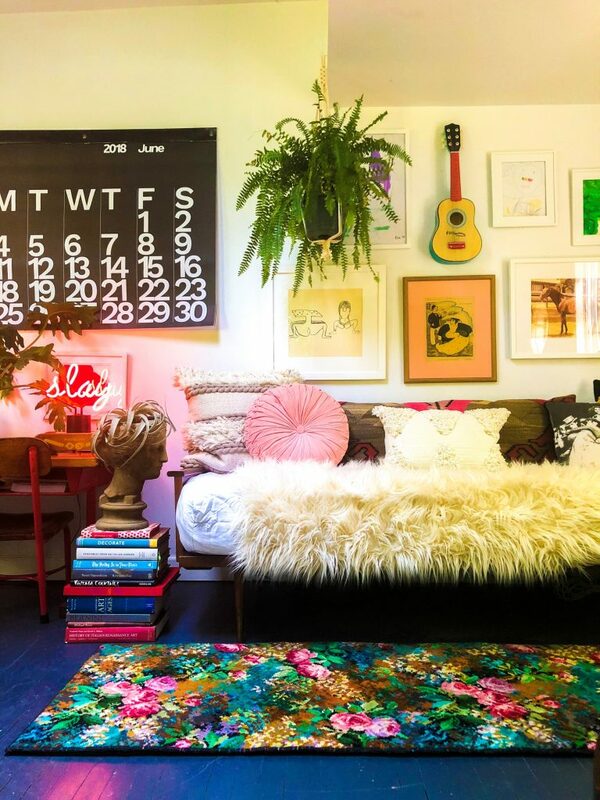 You can also drool over Becca’s insanely tasteful decor and her witty sense of humor by following her on Instagram. The next shop you should surely check out is Kazimah Carpets. 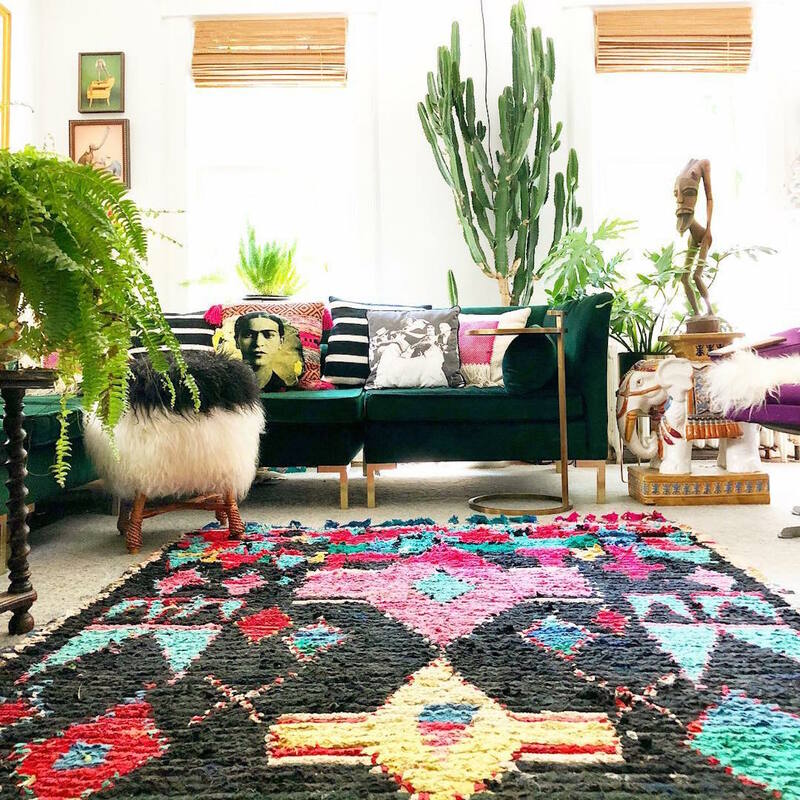 Josh and his wife are a power duo from California who just spent a few years in Kuwait City, perfecting their knowledge of Middle Eastern rugs and home goods. 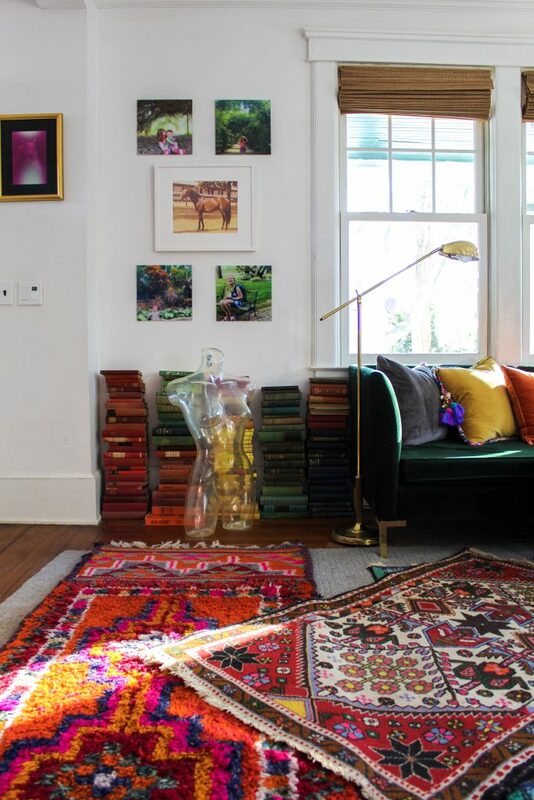 Their shop has a host of incredible bohemian-style finds, and they are still sourcing incredible carpets from Kuwait. 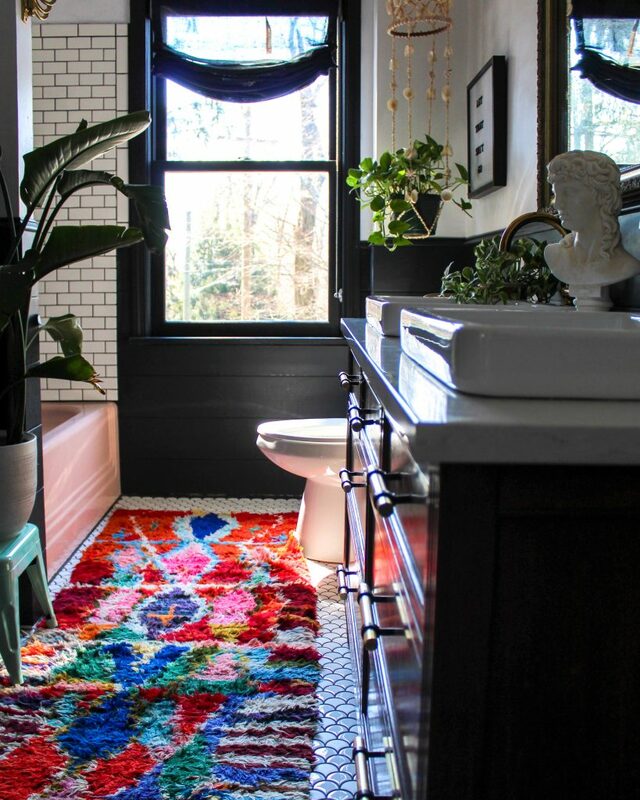 Kazimah Carpets has a stellar collection of runners in bright colors that will be sure to knock your socks off. I love Josh’s shop for so many reasons, but he really stands out with his collection of oversized runners and his eye for color. Josh also has an amazing Instagram account that you should absolutely be following. Those two shops are my main go-tos when I’m on the market for a new rug. Both Becca and Josh are also always willing to work with you if you have an image in your mind of a rug you’re looking for, they will search the earth to find it for you. Literally.